If you’re a Christian interested in counseling as a career, our ranking of the top Christian colleges for master’s in counseling degrees will be a big help. At its core, Christianity preaches compassion, tolerance, and service to others. So it’s no surprise that many Christians feel called to a career in the helping professions, which include occupations like social work and counseling. But which colleges provide the best programs for Christian counselors? In other words, which programs incorporate spiritual teachings in the curriculum and provide faith-based career training? Top Counseling Schools was on a mission to find out. Overall Degree Focus: (Weighted 25%) Assesses the focus of the counseling program. Degrees that are entirely dedicated to training future Christian counselors (and indicate this directly through a degree title like Christian Counseling, Counseling Ministry, Biblical/Pastoral Counseling, etc.) earned more points than those with a more general focus. Christian Counseling Coursework: (Weighted 35%) Examines the program’s focus in more depth and refers to the number of classes in the curriculum that feature an explicit focus on Christianity, spirituality, and counseling topics. This number does not include foundational religious courses that are not specific to the counseling major. Program Accreditation: (Weighted 20%) Refers to the type of subject-specific accreditation the program has, if any. Schools earned the most points for having accreditation from counseling-specific organizations like the Council for Accreditation of Counseling & Related Educational Programs (CACREP) or Commission on Accreditation for Marriage and Family Therapy Education (COAMFTE), but we also awarded points for religious accreditation from the Association of Theological Schools (ATS). Average Graduate Tuition: (Weighted 20%) Assesses affordability based on the average graduate tuition rate, as reported on College Navigator. 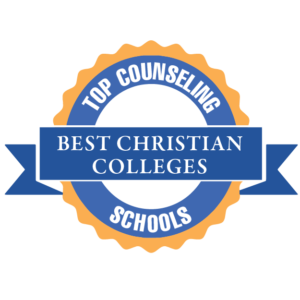 Continue reading to find out which Christian counseling degrees earned the most points (out of a total possible 100) in our ranking. 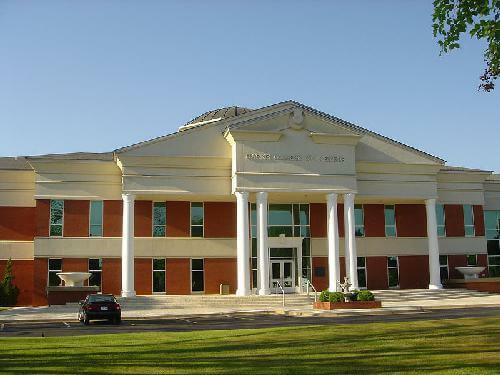 John Brown University is one of the oldest and best Christian counseling schools in the United States. 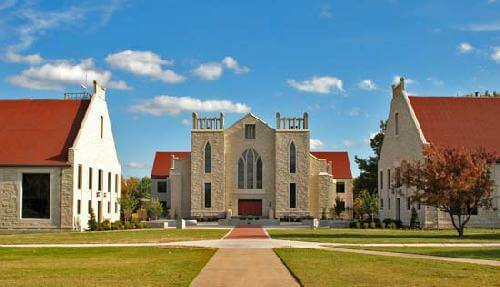 Founded in 1919, John Brown University has been providing Christian higher education for nearly a hundred years. JBU’s affordable Christian counseling degree programs draw on this compassionate, humanitarian tradition, providing students of faith with the tools they need to build connections and dissolve conflict in a variety of circumstances. In fact, JBU offers five distinct programs in counseling specialties that include Marriage and Family Therapy, Clinical Mental Health, and Play Therapy. JBU’s Graduate Counseling program is also notable for its contributions to the community; via JBU CARE Clinics in Fort Smith, Little Rock, and beyond, counseling students have the opportunity to apply their education in the field while providing valuable human services to those in need. An affordable Christian counseling degree from Faulkner is a versatile investment. Faulkner University’s affordable Christian counseling school offers one of the most flexible graduate programs for those who are pursuing a career in human services. Thanks to its hybrid online and on-campus degree programs, MS candidates in counseling can optimize their time both in the classroom and in the field with local affiliated counseling agencies. Faulkner’s program is generalized and spans a wide range of counseling disciplines that include Marriage and Family Theory, Diversity Training, Substance Abuse Counseling, and more. This multifaceted degree therefore serves as an excellent stepping-stone to a career in the Church as well as community and/or state agencies. Seattle Pacific’s experiential learning component makes it a top Christian counseling school. At Seattle Pacific University, students of faith have the opportunity to put their faith and spirituality to good use with a top Christian counseling degree. SPU’s MS in Marriage and Family therapy is a hands-on program that leverages Christian values to create leaders and practitioners in one of the most impactful sectors of the counseling profession. The university also maintains partnerships with a number of local organizations to provide work experiences for students. These long-term internships (18 months for students following the two-year MS in Marriage and Family Therapy plan, and 21 months for those on the three-year schedule) provide a solid experiential backbone for an already robust curriculum. Nyack’s Christian counseling degrees provide a comprehensive, spiritually-based introduction to the counseling profession. 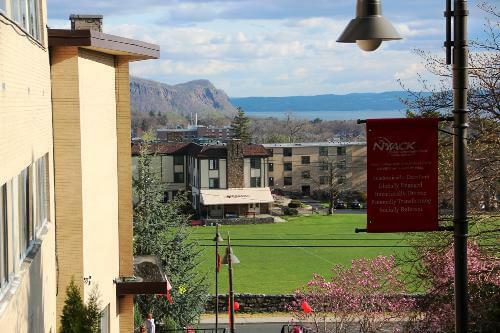 Nyack College’s Alliance Graduate School of Counseling offers two top Christian counseling degree programs: Mental Health Counseling and Marriage and Family Therapy. While these programs are not available on the same campus (MHC in New York City and the FMT in Rockland County), they both contribute to Nyack’s impressive versatility in counseling education. Both programs feature intensive practical experience requirements and fulfill all the prerequisites for professional licensure at the state level. And most importantly, both programs draw on a Christian worldview with faculty who serve as professional and spiritual mentors throughout the program. 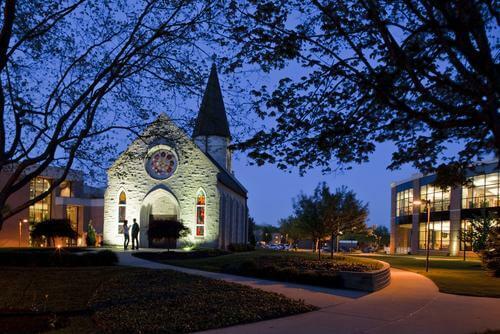 Bethel University is one of the best Christian colleges for counseling in Minnesota. For over a hundred years, Bethel University has been one of the leading Christian educational institutions in Minnesota. 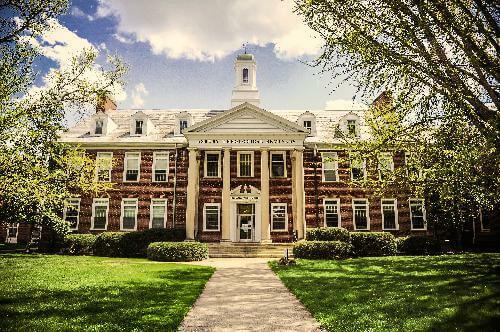 Long known for its prestigious Seminary program, today Bethel is also home to one of the best Christian graduate schools for counseling. Its program is particularly notable for the flexibility and customization options it provides; counseling degrees are available in both two- and three-year formats and with concentrations options in Child and Adolescent Counseling and Community Counseling. Plus, with over a dozen experienced faculty members devoted to the subject, there’s no doubt that counseling students at Bethel are in good hands. Oklahoma Baptist University’s Christian counseling degrees are not just affordable; they’re a great value, too. Students of faith can receive their top Christian counseling degree from Oklahoma Baptist University for less than half the price of many of the other schools on this list. At just over $8,000 a year on average, there’s scarcely a better deal available. Plus, OBU’s Marriage and Family Therapy program is singularly devoted to developing the practice of counseling through a Christian worldview. As a result, degree candidates spend a significant portion of the program (up to one full calendar year) completing practicums organized and coordinated by the Baptist General Convention of Oklahoma. With three locations plus distance education options, Montreat’s Christian counseling degrees are nearly unmatched in flexibility and accessibility. 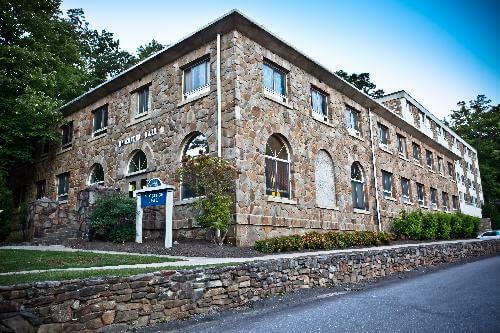 Montreat College’s Master of Arts in Clinical Mental Health Counseling program has served as the benchmark for excellence in Biblically-based counseling education for the last twenty years. This top Christian counseling school combines “developmental, behavioral, psychological, social, [and] emotional” training into a single comprehensive curriculum that is as rigorous and theoretical as it is experiential and hands-on. What’s more, Montreat’s masters programs are available in not just one, but three physical locations around the state (Asheville, Charlotte, and Morganton). As if that weren’t enough, students can also take classes in online and hybrid formats to accommodate their busy schedules. This Christian college for counseling requires all students to complete a senior capstone project in order to graduate. Trinity International University’s Illinois location offers a top Christian counseling degree program that is firmly grounded in both clinical practice and biblical study. Over the course of 3 years (or however long it may take to complete 64 credits), degree candidates are required to complete 12 hours of coursework in Biblical and Theological Foundations as well as a Mental Health Counseling Core. This ensures that spiritual education is not overshadowed by professional growth. These domains are integrated in the senior capstone, where students are tasked with designing and carrying out an independent research project. This Christian college for counseling provides specialized training in unique areas like Play Therapy and Expressive Arts. 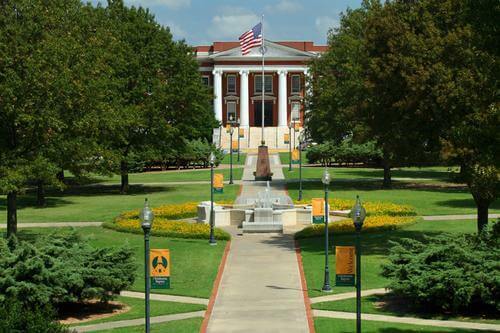 Located in the heart of Nashville, Tennessee, Lipscomb University is home to multiple CACREP-accredited Christian counseling degree programs, including Clinical Mental Health Counseling and Marriage and Family Therapy. In addition to these degree offerings, Lipscomb offers specialization options in Play Therapy, Expressive Arts, and Addictions Counseling. So while Lipscomb stands out as one of the more expensive schools on our list (clocking in at nearly $20,000), it is also certainly one of the more robust; the sheer breadth of its educational programs is sure to pay for itself. 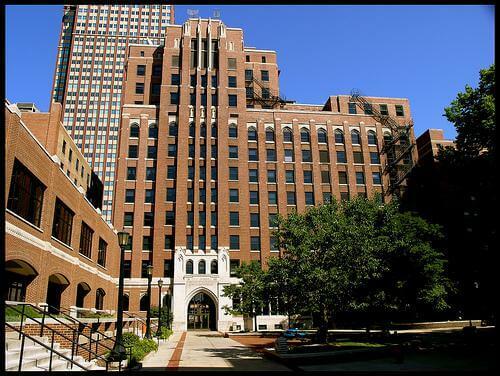 The Moody Bible Institute is Chicago’s premiere Christian counseling school. The Moody Bible Institute’s affordable Christian counseling degrees go far beyond the bare minimum that is required for students to earn professional licensure. Designed to facilitate the spiritual and theological growth of all degree candidates, the curriculum prepare graduates to take their Christian-focused counseling skills to mental health facilities, state agencies, and of course churches and ministry programs. To this end, students in MBI’s MA in Clinical Mental Health Counseling program take diverse coursework that spans biblical hermeneutics, counseling theory and techniques, group/family dynamics, and more – all undergirded by a substantial practicum component. LeTourneau University’s Christian counseling degree programs are available in both traditional and hybrid/online delivery modes. 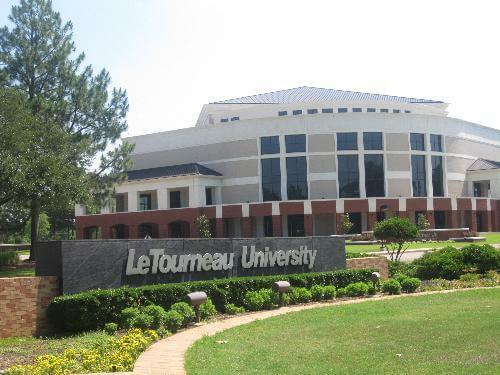 LeTourneau University features two affordable Christian counseling degrees: a Master of Arts in Marriage and Family Therapy and a Master of Arts in Counseling. The former is a traditional program that utilizes a residential format, and classes take place on both the Longview and Dallas campuses. The latter is available as a hybrid online program. In fact, students who choose the M.A. in Counseling benefit not only from scheduling flexibility, but also from multiple curricular options, as the degree includes specializations in the areas of School Counseling, Marriage and Family Therapy, and Licensed Professional Counselor (LPC). 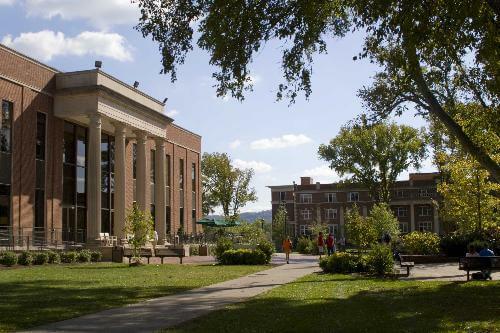 Lee University’s Christian counseling degrees boast accreditations from both CACREP and COAMFTE. 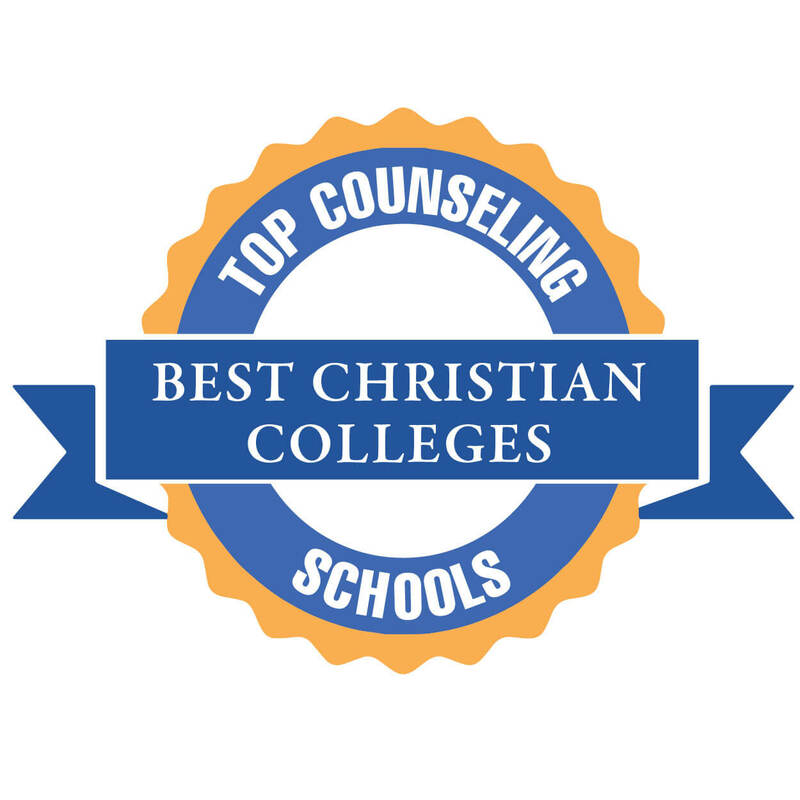 With program accreditations from multiple counseling education authorities, Lee University is among the most highly accredited Christian graduate schools for counseling in the country. The value of this metric is borne out in the statistics: counseling graduates from Lee University pass their licensure exam at an above-average rate of 80%, and over 90% of those find employment in their field within a year of graduation. This success rate is a result not only of Lee’s rigorous and comprehensive counseling curriculum, but its robust student support services (career advising, tutoring, writing workshops, etc.) as well. Thanks to multiple campuses and accommodating course schedules, George Fox is among the most flexible Christian counseling schools on this list. 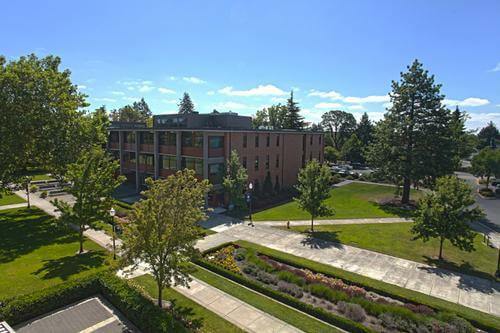 Among the top Christian colleges for counseling, George Fox University stands out for its low price and exceptional flexibility. With campuses located in both Portland and Salem; pre- and post-graduation certification options; and two-, three-, and four-year program completion schedules, counseling degree candidates have no excuse for not seeing their education all the way through. Best of all, GFU’s spiritual grounding guarantees that students not only receive a strong theological education, but are also trained to perform their role as a professional counselor with all the grace and compassion of a clergyman. Wheaton College is a rigorous and selective Christian college for counseling. 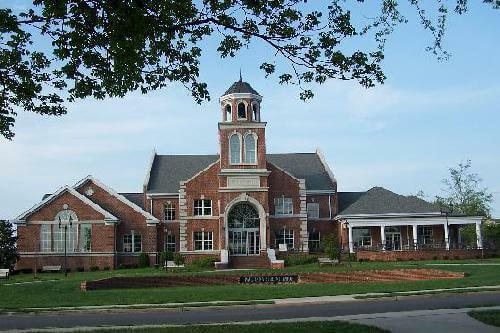 Wheaton College is known throughout the Midwest as one of the leading purveyors of both liberal arts and theological education. 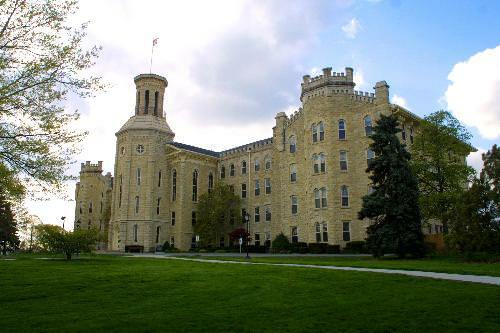 In fact, Wheaton’s reputation as a top Christian counseling school is the result of its unflinching commitment to developing research-based clinical methodologies that adhere to and amplify biblical teachings. From faculty members to graduate students and even undergraduates, a huge portion of the Wheaton campus is involved in mission and service work locally and internationally. Wheaton also provides ample professional support for counseling degree candidates in the way of career advising and internships in local public and church organizations. This Christian graduate school for counseling offers numerous opportunities for degree specializations and tuition discounts. Dallas Baptist University is home to some of the most versatile degree offerings of any accredited Christian graduate school for counseling. In addition to two counseling programs – MA’s in Christian and Professional Counseling – students can enhance their education by earning a dual-degree in one of a multitude of Bible-intensive subjects, such as Children’s Ministry or Discipleship. As such, graduate degree candidates can expect a heavy helping of both theological and applied counseling coursework to round out their introduction to this rewarding field. And as an added bonus, DBU’s partnerships with Sky Ranch and Forge allow graduate students to pursue accelerated degrees with up to full tuition discounts. This Christian college for counseling exemplifies Quaker values like service and community that are essential to a successful career in the helping professions. 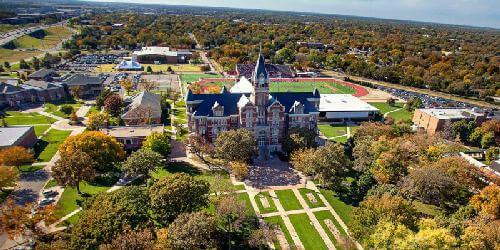 Like George Fox and Nyack, Friends University’s affordable Christian counseling degrees are available in multiple locations (in this case, Wichita and Kansas City) to ensure accessibility for as many students as possible. And yet, the benefits that its program affords aren’t limited to prospective counselors in Kansas, because Friends provides a Christian education like none other. In particular, the university’s Family Therapy program exemplifies the Quaker values of service, community, equality, and integrity. And once they have a solid foundation in the theories of counseling, degree candidates will put their training into practice at local human services organizations. 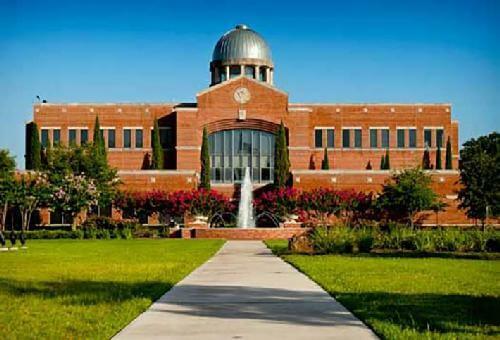 As a top Christian college for counseling, HBU has one of the most impressive NCE pass rates in the country. If the National Counseling Exam pass rate is any indication, Houston Baptist University easily stands among the best Christian graduate schools for counseling in the country. After all, with a 100% first time NCE-pass rate over the last nine years, the staff and faculty at HBU could hardly do much better. And HBU’s small class sizes almost certainly contribute to this statistic; with a student-teacher ratio of as low as 5:1 in some courses, counseling degree candidates at HBU receive intimate instruction that extends to spiritual and career mentorship on a regular basis. 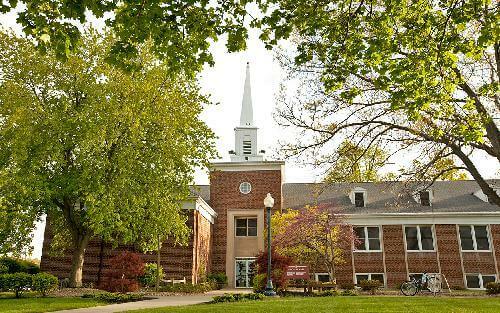 Among top Christian graduate schools for counseling, Gordon-Conwell is known for its robust theological core curriculum. 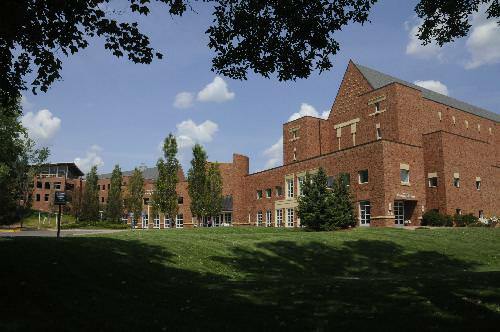 Although most seminaries are best known for training future ministers, Gordon-Conwell has also earned a reputation as one of the region’s top Christian counseling schools. At this seminary, graduate students in the Christian Counseling program can choose between tracks in Licensed Professional Counseling (LPC) and Marriage and Family Therapy (MFT). The two paths have distinct curricular differences but share a robust theological component that is inextricable from the seminary experience. This is most readily apparent in the curriculum’s 15-credit theological core as well as its integrative major coursework, which features classes in advanced Christian counseling models. Columbia International University offers Biblically-driven Christian counseling degrees. Although Columbia International University’s affordable Christian counseling degree program is not spiritually-focused in name, it is deeply devoted to faith-based principles in practice. It represents the only outlier in CIU’s ample selection of theological and ministerial graduate offerings, suggesting that counseling students can expect a healthy of dose of religious influence to permeate their coursework. Indeed, the curriculum abounds in biblically driven coursework from its Foundational to Counseling Core requirements. These courses, which include “Applied Biblical Foundations of Counseling” and “Clinical Applications in Missionary Care,” help students consolidate both religious and empirical perspectives in their therapeutic techniques. This Christian counseling school goes above and beyond the norm to provide opportunities for non-traditional students. Milligan College’s affordable Christian counseling degree programs are specifically designed to accommodate the needs of remote, working and other non-traditional students. From afternoon and late evening classes to part- and full-time degree timelines, Milligan makes it easier than ever for adults to finally pursue a career in Clinical Mental Health or School Counseling. In addition, a graduate certification in Counseling Ministry is available for program members who want to learn “how [counseling perspectives] may be applied in a church-based setting.” And for students who are able to attend classes on campus, The Milligan Counseling Center provides a convenient opportunity to log practicum/internship hours. Indiana Wesleyan University’s Christian counseling degrees stand out for their strong focus on practical, on-the job learning. At Indiana Wesleyan University, aspiring counselors have their pick of career options. IWU’s impressive selection of affordable Christian counseling degrees includes programs in Addictions, Clinical Mental Health, Student Development Counseling and Administration, and more—all of which are also available on a part- or full-time basis. And to ensure that the quantity of its degree offerings maintain commensurate quality, IWU’s programs all feature a strong clinical emphasis. Counseling degree candidates begin their experiential education under close faculty supervision in their first semester of classes, then move on to practicums and independent research projects by their third and fourth years. Asbury’s Christian counseling degree program is particularly adept in its ability to combine theological and professional topics in one. Asbury Theological Seminary’s Master of Arts in Pastoral Counseling combines the empirical rigor of a traditional professional counseling program with the theological and emotional depth of a ministerial degree. Classes like “Counseling and Christian Beliefs,” “Pastoral Crisis Intervention,” and “Pastoral Approaches to Marriage and Family Counseling” are just a few examples of the kind of practical and integrated education one finds at ATS. What’s more, this affordable Christian school for counseling has campuses all over the country, making an ATS education all the more accessible to this generation’s future spiritual leaders. 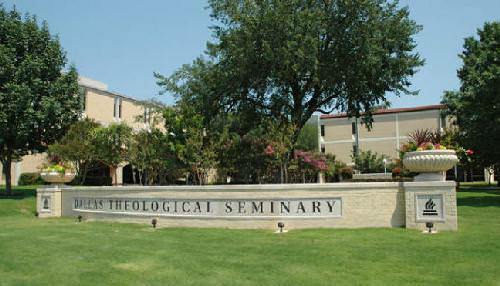 Dallas Theological Seminary’s methodical approach makes for one of the most comprehensive, well-balanced Christian counseling degrees on this list. 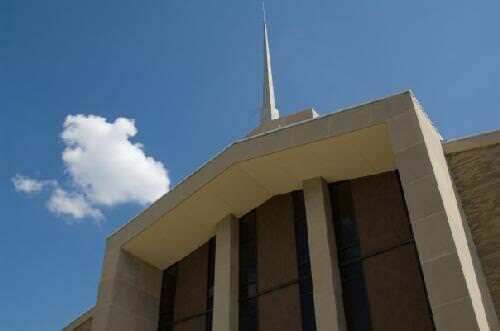 Dallas Theological Seminary is another top Christian counseling school that delivers a “theologically and biblically focused education.” The seminary’s Master of Arts in Biblical Counseling program seamlessly integrates spiritual and practical topics to prepare students for careers as Christian counselors and church leaders. Driving this balance is a curriculum that features five clearly organized components: Bible Exposition, Systematic Theology, Counseling Theory & Technique, Licensure Preparation, and Electives and Spiritual Formation. Students even receive free editions of Logos Bible Software to conduct biblical scholarship! This robust, 90-credit program takes just three years to complete and is available on campuses in Dallas, Houston, and even Washington, DC. LCU’s Christian counseling degrees prepare students equally well for state licensure and religious occupations. The CACREP-accredited Christian counseling degree at Lincoln Christian University provides a compassionate and impactful career path for students of faith. Experienced faculty deliver the MA in Counseling program classes in a seminary-based format that emphasizes theological approaches to therapy and psychology. Thanks to this integrated curriculum, program graduates walk out the door not only fluent in biblical teachings, but eligible for NCE and state licensure, too. What’s more, LCU students (93% of whom graduate within five years) report a 100% NCE pass rate, which enables them to seek work in ministry as well as clinical settings. Grace College’s Christian counseling degree programs are available in two- and three-year formats. Grace College and Theological Seminary is notable for its commitment to developing counseling professionals with a passion for God. This Clinical Mental Health Counseling program exemplifies Grace College’s spiritual rigor, featuring coursework in the theological foundations of counseling as well as numerous opportunities to participate in human services through the church. But perhaps most importantly, Grace is CACREP-accreditation and is guaranteed to provide the skills and clinical hours necessary to pass the NCE and receive state licensure. Both two- and three-year accredited Christian counseling degree programs at Grace require semester long internship and practicums. This Christian counseling school’s hybrid online delivery format makes it a great choice for those who work full-time. Johnson University’s hybrid delivery format combines the flexibility of online courses with the real-life interaction of a traditionally residential Christian counseling degree program. Since students only need to be on campus for two weekends per term per course, this program is especially suitable for working students – although it also welcomes full-timers, who can earn their degree in just two years. As for the curriculum, Johnson also degree specializations in both Clinical Mental Health Counseling and School Counseling. Where the former requires 1000 hours of clinical practicum experience, the latter places degree candidates in local schools for research and observation experience. Cornerstone’s Christian counseling degree program offers seven distinct specialization options. 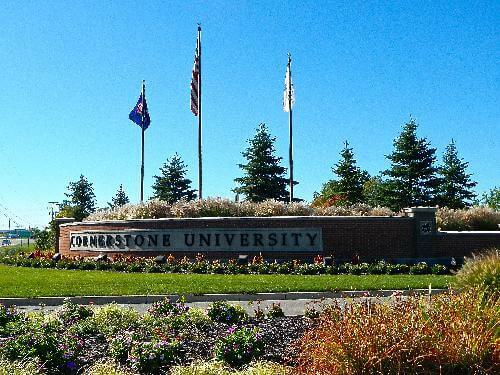 Thanks to its seven specialization options, an MA in Counseling from Cornerstone University is more than just another affordable Christian counseling degree. From Addictions and Trauma Counseling to Multi-state Licensure and Student and Family Ministries, Cornerstone offers numerous career pathways that will appeal greatly to students of faith who want to pursue a life of service. To prepare them for the challenges of counseling ministry, Cornerstone requires degree candidates to complete 12 Bible credits, 9 Theology/Ministry credits, and a multi-semester internship/practicum sequence at a local church, clinic, or public agency. Of MidAmerican Nazarene’s four Christian counseling degrees, the “Spiritual Formation and Counseling” specialty is the best suited for future church leaders. California Baptist University is the Southern Baptist Convention’s top Christian graduate school for counseling in the state. 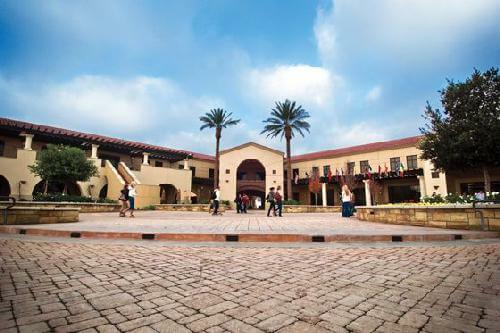 Controlled by the California Southern Baptist Convention, California Baptist University provides a great way to become more involved with the “holistic community” of the congregation. As an affordable Christian counseling school, CBU provides MA in Counseling Ministry degree candidates with every opportunity to develop a role within the church. In fact, the degree itself even has a Church Participation Requirement on top of a Field Experience Practicum and a senior research program. And to accommodate students (most of whom continue to work full time will studying), faculty schedule the majority of classes and church meetings during evening hours. 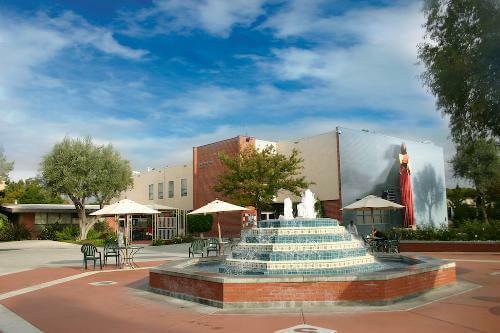 Biola is undoubtedly one of the best and most affordable Christian counseling schools in the country. Biola University’s Talbot School of Theology is an affordable Christian graduate school for counseling that perfectly balances spiritual education and professional development. With a Master of Arts in Christian Ministry and Leadership from Biola, graduates are fully prepared for a career in ministry, licensed counseling, or some combination of both fields. But regardless of which pathway they choose, Biola alumni won’t easily be able to forget their theological training; in addition to their major coursework, students in this program must complete 24 credits in Practical Ministry, seven credits in Spiritual Formation, and three in Bible Exposition in order to earn their degree. 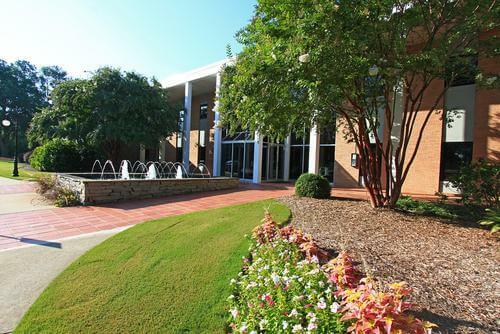 This marks the end of our ranking of the top Christian counseling degree programs. We think you might also like: The Top 10 Online Marriage and Family Counseling Degree Programs.